I would love to say there is a magical formula for understanding all relationship breakups but I cant. 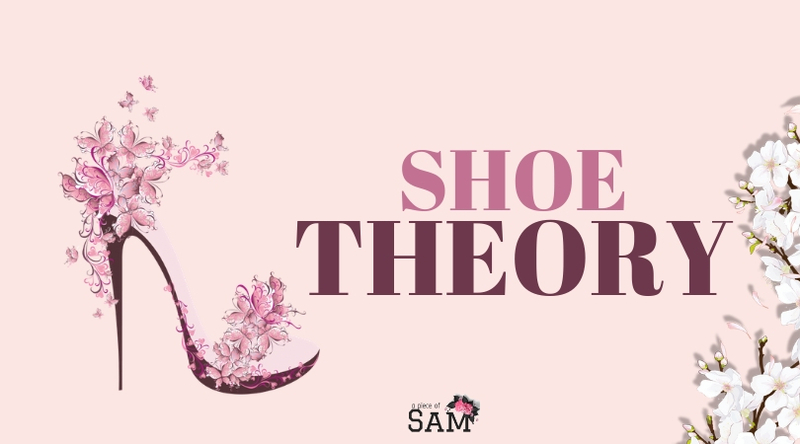 I stand against domestic violence of any kind and that is why I have thought to illustrate abusive relationships using my personally formulated “shoe theory” maybe you could learn a thing or two, or maybe not! When relationships end, we begin to question if there were things we could have done differently to avert all the hurt and pain or sometimes on the flip side, we begin to identify all the ever-present warning signs that stared us in the face but was diligently ignored. Abusive Relationship: This could be emotional, psychological or physical abuse. It is a very manipulative kind of relationship. I have been in an abusive relationship and looking back at it, these are my deductions. He was nice and very attentive but now I realize that was all a ploy to lock me down as quickly as he could. It worked as I obviously bought into it and fell hard, you know the way you feel lucky to find love? Beauty is in the face but the ugliness is in the heart, it doesn’t stay hidden for too long though. It didn’t take time for all the charm to disappear and the need to exercise control over me started. He alienated me and physically abused me. This was a no-brainer, stay and lose my mind or leave. I always love to use the shoe theory in understanding how I got intertwined and stayed in this abusive situation. There’s nothing worse than an uncomfortable shoe, whether it be high heels or flats. I once got a new pair of beautiful shoes and needed to break it in. It so happened that I ignorantly wore this shoe for a seven-hour flight (big mistake!) and by the time my flight landed, my feet were swollen. My swollen feet were forced into this loafers.. bad idea! I had to walk with a limp through customs and when I got to my destination, I had blisters. Sometimes the answer to your pain could be right on your feet😉 . You cannot imagine my relief when I kicked those shoes off. It took some time for the blisters to heal but my feet was breathing perfectly fine. Some shoes were not meant for walking, sitting or even standing. It looked beautiful: I was drawn in by the charm of this beautiful shoe and didn’t stop to confirm if it was actually wearable. The same way I judge an individual based on face value, not considering that some people are not lovable. It was the fashionable style at the time: I followed the bandwagon because it was the thing to do(Relationship-marriage. It’s very easy to get influenced because all your friends are getting married. I keep wondering how anyone could be comfortable wearing the trendy ‘barely there’ heels, but oh well! I was gunning for a lot of compliments: Who wouldn’t like a good compliment sometimes? Nice to hear that man looks good on you😂 just like a pair of shoes could look good on you! The pain: it started with a little pinch on my tiny little toe, and I kept telling myself that it will pass. The pain graduated to my Achilles and became unbearable. When the first abuse ever happens in a relationship, we try to believe that it will be better but unfortunately it escalates and keeps growing, because” whatever is permitted, grows.” We all feel different kinds of hurt, pain, and betrayal but still, continue wearing this beautiful shoes. Length of wear: Although the shoes hurt so badly, I wore them for seven hours longer than I should ever have! Sometimes we hang on for far too long. It doesn’t matter if you are unsure of the future, are you not a child of GOD? He doesn’t desert his own. The mega question is where do I start? I have been with him for seven years, it’s too late to start over. Will I ever find someone else? All that these thoughts do is hinder you from living your best life ever! The Limp: At this point, the hurt and pain were so terrible that I could no longer conceal or put up an act like all is well. At this point, I still lied to myself saying I didn’t have a choice I had to wear shoes if I didn’t wear this shoes, how would I walk through the airport?” But the truth is I could wear just a sock, I could even go barefoot, who cares? Same goes for a bad relationship, we think its too late to start over or we do not have options. Abusers make you believe that without them, you cannot survive. Blisters are the physical, emotional or psychological scars from abusive relationships. Scars are a reminder of how strong you are. Even when your scars are not physical, you are a survivor. I completely lost myself and self-esteem and that affected me holistically. I am certain that all scars will eventually heal. There is nothing cast on stone as to the correct healing period because we all differ, there’s no rush, take your time. The relief: Do I need to say more about how relieved I was when I kicked off those shoes? I find it hard equating the feeling to anything else… maybe the big O! I don’t know😂… but you get my point right. It was liberating when I walked out of the abusive relationship I was in. I didn’t quite have a clear cut plan of my life but I left anyway. The healing: It took a while for my feet to heal, in order to wear new shoes. We differ and people take less time and some more. There is no right or wrong time for healing. It is perfectly ok to hurt and take as much time as needed to heal. At this point, I considered myself a survivor! There is absolutely no judgment to people who choose to stay in unhappy relationships. I am sure there are reasons why they stay. I’m not advocating for anyone to leave as I did. That isn’t a decisions anyone can make for you. I wore my shoes and I knew when it hurt the most. My advice is “love yourself”. Love yourself enough to preserve your sanity, dignity, and life.